The average small and medium-sized business shouldn’t have to deal with spam complications on a regular basis. QuestingHound Technology Partners’s comprehensive spam protection solution is designed to help your organization eliminate spam before it ever hits your inbox. By deploying a comprehensive spam protection strategy, you and your staff can get down to business without having to first sift through piles of useless messages. QuestingHound Technology Partners’s spam protection is a completely hosted solution that uses intelligent, pre-designed filters to keep suspicious emails from entering your network in the first place. Anything blocked is quarantined for you to review, which ensures you don’t miss an important email. QuestingHound Technology Partners’s spam protection solution is designed to keep your spam at an absolute minimum, so your staff can stop wasting time and better manage their inbox. Contact QuestingHound Technology Partners today to discuss dynamic security solutions. If your business is fighting a losing battle against spam, now is the time to seize control of your email. 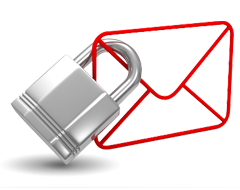 Contact QuestingHound Technology Partners today at 954-727-2200 and ask us about our spam protection solution.